Yankeetown, Florida- At approximately 4:19 AM an Inglis Police Officer Tim Swiggett was conducting an investigation on a suspicious vehicle. The truck was backed into the woods on County Road 40 West in the neighborhood near Riverside Drive in Yankeetown. The vehicle was described as an older model Blue GMC pickup with no tag. 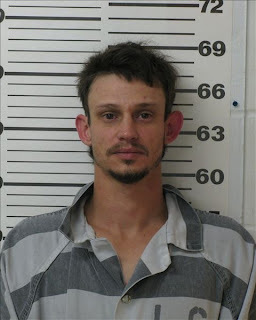 The Officer approached the subject and initiated the investigation and it was determined that the subject was Chad Floyd Jeter from the Atmore, Alabama. The investigation revealed that Jeter was wanted in connection to a bank robbery of the National Bank and Trust in Atmore, Alabama on 5/19/09. Jeter then assaulted the Officer and managed to cut the Officer in neck before running into the woods. Ofc Swiggett was transported to Seven Rivers Hospital for minor injuries and released. At this time a manhunt is being conducted by the Levy County Sheriff’s Office, Inglis Police Department, Citrus County Sheriff’s Office, Cross City Correctional K-9 team and the US Coast Guard. Jeter was located hiding in the marsh by the Cross City Correctional bloodhounds at 7:15 AM. Jeter is charged with attempted homicide on a Police Officer and booked in the Levy County Jail. TALLAHASSEE, Fla. – A Disaster Recovery Center (DRC) operated by the state and Federal Emergency Management Agency (FEMA) will open at noon on Friday, May 15, in Levy County. Those who suffered uninsured and underinsured losses due to storms and flooding between March 26 and May 5 are urged to visit the center where they may meet disaster recovery specialists to help in their recovery. DRCs are open from 8 a.m. to 6 p.m. seven days a week until further notice. It is not mandatory to go to a DRC, but storm survivors who visit the centers may apply for assistance, check the status of an existing FEMA application and get additional information about resources available to eligible applicants. The centers are staffed with specialists from FEMA, the State Emergency Response Team (SERT), the U.S. Small Business Administration (SBA) and a variety of disaster-recovery representatives from local and volunteer agencies. They have access to important resources and can help individuals on the road to recovery. 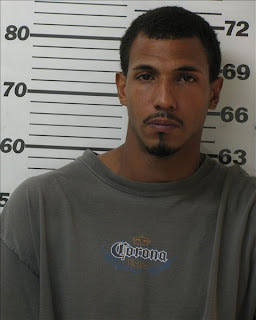 Bronson, Florida-On May 14, 2009 Detective Mike Bell arrested Gregory Provett from Chiefland for grand theft and scheme to defraud. The owner of Bubba Que's restaurant noticed money missing from the cash register and reported the theft to the Levy County Sheriff's Office on March 22, 2009. Detective Mike Bell began the theft investigation and arrested the restaurant manger, Wister Reid Whitesides for grand theft on April 3, 2009. Detective Bell continued investigating leads and Gregory Provett was arrested on May 14, 2009 for grand theft and scheme to defraud. Provett was an employee at Bubba Que's and he confessed to stealing from the Bronson and Chiefland restaurants. 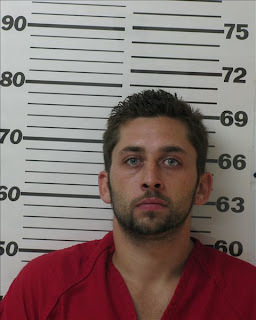 Provett stated that he used the stolen money ($2,700) to buy drugs. Provett was arrested and transported to jail where he has a $ 5, 000 bond. Williston, Florida-On May 13, 2009 Courtney Harvey was arrested for two Levy County warrants at 341 S.E. 10 Street Williston and was transported to the Levy County Jail. Sergeant Matt Fortney with Williston Police Department contacted the Levy County Sheriff's Office and requested the Sheriff's K-9 to assist in the arrest of Courtney Harvey. K-9 Deputy Kevin Kinik with his partner K-9 Rossi and Deputy Joseph Sabbag responded to assist in the arrest. Sergeant Fortney advised the Deputies that Harvey is known to run and resist law enforcement. Harvey had two outstanding Levy County warrants for possession of cocaine and resisting arrest without violence and the second warrant was for possession of marijuana less than 20 grams and resisting arrest without violence. When Deputies and Officers from Williston Police Department arrived at 341 S.E. 10 Street Harvey immediately ran on foot in a heavily wooded area. Deputies quickly set up a perimeter and Officer Kevin Osborn with Williston Police Department observed Harvey running in the woods and ordered him to stop running and he was under arrest. Officer Osborn deployed his taser when Harvey continued to run but only one probe struck Harvey and he was able to run away. Harvey was spotted running across the intersection at S.E. 3 Ave. at 9 Terrace and Deputy Kinik gave four K-9 announcements "Sheriff's Office K-9 stop or I will release the dog and he will bite you" but Harvey refused to stop. K-9 Rossi was released and before Harvey was apprehended by Rossi he stopped running and K-9 Rossi was recalled back to his handler. Before Harvey could be handcuffed he ran again and another K-9 announcement was given to Harvey to stop but he again refused to stop running. Harvey was apprehended by K-9 Rossi and he fought K-9 and Deputies and had to be physically subdued. K-9 Rossi or Deputies were not injured during this incident. Harvey was transported to Nature Coast Hospital where he was treated and released for K-9 bites. Harvey has been convicted three times for felony drug charges. Williston, Florida- At approximately 12:30 two students were approached on the playground by what students described as a white or Hispanic male. The suspect possible had black hair possibly wearing a brown shirt, blue pants, and black boots, possibly with a silver tooth and a dark spot or mole on his face. The students were lured from the playground and placed in a red and white truck. They were transported approximately 100 yards across the front entrance of the campus where the suspect had them exit the vehicle and remain by the road side. At that time a school employee observed the boys and contacted them and brought them back to campus. 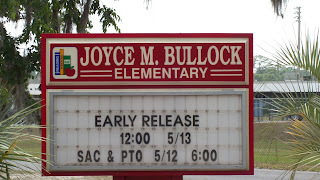 The school immediately was placed on lock down for the safety and security of students and staff. A head count of all students was immediately initiated and they are all accounted for at this time. The Levy County Sheriff's Office and Williston Police Department are jointly conducting an investigation into the incident. The School Board and School officials are taking measures to insure the safety and security of all students. If you have any information regarding this incident please contact the Levy County Sheriff's Office at 352-486-5111 or you can remain anonymous by calling Crime Stoppers at 1-877-349-8477. 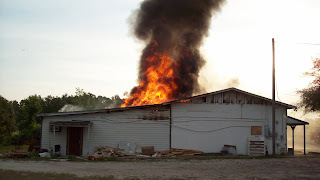 Bronson, Florida-On May 11, 2009 at 7:26 AM the Levy County Sheriff’s Office received a 9-1-1 in reference to a fire at Lees Grocery. The clerk stated that he seen a spark at the back of the building and he is not sure why or how the fire started. The clerk stated that he was having electrical work done in the back of the building and that is where he seen the spark. After the clerk called 9-1-1 he attempted to extinguish the fire with a fire extinguisher but he could not contain the fire. The Bronson and Archer Fire Department have contained the fire and the building appears to be a total loss. There were two 500 hundred gallon diesel tank and one diesel tank over 1500 gallons next to the building. The fire fighters contained the fire very quickly and the diesel tanks were never in danger. The State Fire Marshal Office has been called to investigate the cause and origin of the fire. Fowlers Bluff-The ninth annual Law Enforcement Appreciation Day was celebrated at noon time in Fowlers Bluff. This event was founded by the late Circuit Judge W.O. Beauchamp Jr.
Law Enforcement from Levy-Gilchrist County observes this event along with elected County, State and Federal Officials. The traditional fish dinner will be on the menu and there will be plenty of good food, sunshine and fellowship on the banks of the historic Suwannee River. Bronson, Florida- On May 5, 2009 Levy and Dixie County has reopened all public boat ramps on the Suwannee River. We are happy to report that the river has receded and life along the river is getting back to normal. The Fowlers Bluff was a major concern for Officials since the flood level is at 5.5 feet and there was flooding in several homes. The current river level in Fowlers Bluff is at 4.15 feet. Manatee and Fanning Springs are open to the public but swimming is not allowed. 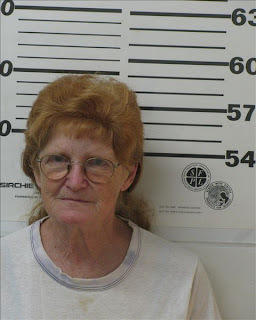 Bronson, Florida-On April 28, 2009 Deputy Britton Drew arrested Sandy Maryjo McClung for aggravated assault and cruelty to animals. The victim and two friends were walking their dog in the area of 13051 NE 76 Place in Bronson, Florida. The suspect, Sandy McClung lives at the above address and McClung walked out of her house with a silver pistol in her hand. The victim heard a shot and she seen her dog runaway. McClung brandished the gun at the victim and threatened to shoot her and she left the area and called 9-1-1. Deputies responded to McClung’s residence and located a BB gun on top of the roof. McClung stated that after she threw the gun on the roof she stated that she had other guns in her house. No other weapons were confiscated. The victim stated that she did not know the weapon was a BB gun but stated she was in fear for her life. One of the witnesses in this incident stated that McClung has threatened other neighbors in the past. The victim’s dog was examined and appeared to not be injured. 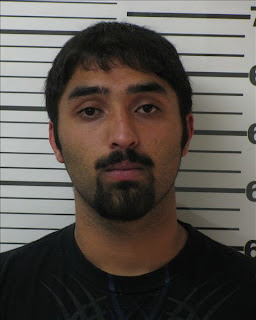 Chiefland, Florida- On April 30, 2009 School Resource Deputy Steve Ellis arrested Jimmy Rana for possession of marijuana less than 20 grams. Canine Deputy Willie Barnes was doing a random drug search on vehicles parked at the Chiefland High School on April 30, 2009. K-9 Taz alerted on a blue Toyota Tundra truck that belonged to Jimmy Rana a student at Chiefland High School. The search revealed a small amount of marijuana inside the center console and marijuana residue known as shake on the floor board. Rana admitted that the marijuana belonged to him and he was arrested and transported to the Levy County Jail. Inglis, Florida-On May 3, 2009 Jason Davis was arrested for robbery, possession of controlled substance without a prescription and possession of marijuana less than grams. Also arrested was David Fries for possession of a controlled substance without a prescription and battery. The victims (husband & wife) were traveling on Highway 19 and observed a vehicle parked on the side of the road at 14400 S.E. Highway 19. The victim got out of his vehicle to offer assistance and David Fries struck the victim in the back of his head with a closed fist. The victim was knocked to the ground and during the altercation he observed a black male inside his vehicle. During the battery the Co-defendant, Jason Davis entered the victim's car and stated to the victim that if she moved he would kill her and stole oxycodone pills, CD and loose change. The suspects fled in a green Volkswagen and Inglis Police Department stopped the vehicle at the Shell Station in Inglis. Inside the suspect's vehicle were 91 Oxycodone pills and 5 grams of marijuana. Davis is a seven time convicted felon and has a violent criminal past of robbery. I would like to caution citizens for being a Good Samaritan, because sometimes things are not what they appear. If citizens observes a disabled vehicle they can call the non emergency line at 352-486-5111 and we will gladly dispatch a Deputy to assist.